Be careful who performs your air conditioning repairs. Many companies send out service technicians who are under qualified to service your equipment. With Markl & Sons you can feel comfortable that an EPA certified technician is present on every job, so that the job is done right, the first time. At Markl & Sons, we treat your home with respect. We use drop cloths inside your home so after every air conditioning repair, your home looks exactly the same as when we arrived. When you need air conditioning service, we provide it. At Markl & Sons, we do our best to repair your air conditioner, rather than trying to sell you a new air conditioner, like many air conditioning contractors. 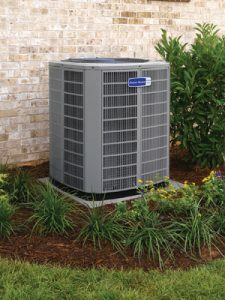 Markl & Sons will help you select the best air conditioner for your budget and for your home. Bigger is not always better. At Markl & Sons we will analyze your home using proper methods, which will ensure that the right size air conditioner is selected for optimum cooling and comfort. Markl & Sons has wide range of experience with many different brands of air conditioners. The best.can't get better than that! Thanks Markl &Sons for a job well done replacing my TXV! I called at 3:30 pm to have our heating unit serviced. He was at our home in 30 minutes. Ten minutes he was able to tell me the problem and the cost. He went for parts and returned to repair. The entire service was handled in two hours. I have small children and we needed to have heat. The cost is very minimal. I am completely satisfied. Thanks to John Markl for getting his son Randy to my house in 10 minutes and getting my air fixed today. I was near tears this morning when my home warranty sent a company from Dallas area and said I needed a new unit for $4000 and my warranty company (Choice Warranty) wanted to pay only $350 of it. Thanks John and Randy, you’re the best!!! The Wells Fargo Home Projects® credit card is issued by Wells Fargo Bank, N.A. with approved credit. Apply for the Wells Fargo Home Projects® credit card by selecting the button below. We are LICENSED, BONDED, AND INSURED and proud members of the Sherman Chamber of Commerce. © copyright 2019 Markl & Sons Cooling & Heating. All Rights Reserved.